After graduation I attended university at a small college in Alabama, there I majored music education and then went on to earn my masters in special education. I have been teaching for the past eleven years. I was a band director for three years. I have been working with special needs students for the past eight years. I've moved to Pensacola, Florida. I hope to continue working within education. I've been debating whether or not I want to get involved with adult education. My favorite overall story was when the lights went out for hours before they finally let us all go home. Of course, let us not forget the parish "bomb scare." I remember this because my mom was a teacher and she complained about how she had to go around and look for any suspicious objects. Michelle Marson has a birthday today. Michelle Marson updated her profile. View. 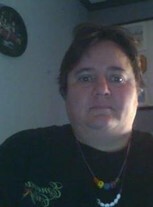 Michelle Marson changed her "Now" picture. Michelle Marson joined via Class Connection Facebook app.